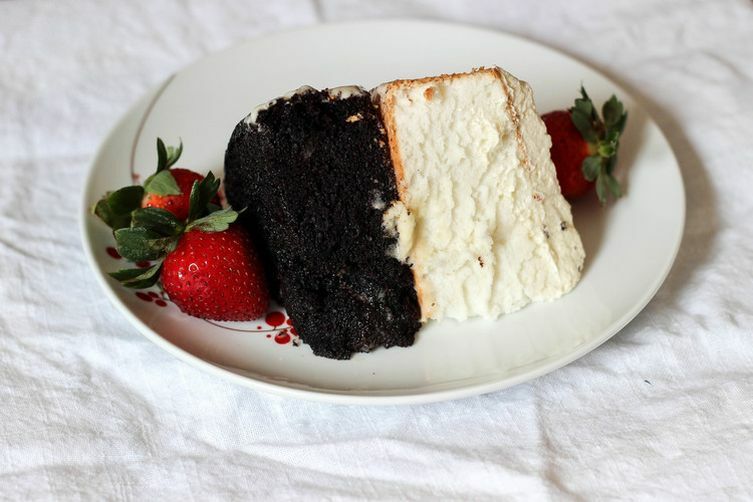 Devil's food cake is considered to be the counterpart to the white or yellow angel food cake. The cake is moist, airy, rich chocolate layer cake. A devil's food chocolate cake traditionally have more chocolate than a regular chocolate cake. The Devil's food cake was invented in the United States around the early 1900s. Devil's food cake recipes often call for unsweetened chocolate baking squares rather than cocoa powder. While the cocoa powder is more of a convenience to use it has less cocoa butter making a more intense chocolate flavor. Coffee is another ingredient that can be used as liquid form to enhance the chocolate flavor. Devil's food cake is traditionally baked as a layer cake. One cake that is related to the Devil's food cake is the red velvet cake. This cake has became a favorite in the United States. Preheat oven to 375. Whisk cake flour and half of the sugar, set aside. Beat egg whites, cream of tartar and salt until stiff peaks are formed. Slowly add the other half of the sugar, and continue beating. Add flour mixture and vanilla slowly, beating continuously on a low setting. Make sure it is thoroughly combined, and then pour into prepared 8” cake pan. Bake for 25-30 minutes or until cooked through. Top should be bouncy and spring back when touched! To remove from pan, run knife along inside, flip over, and slap all sides until cake pops out. Preheat oven to 350. In a large bowl, whisk together the dry ingredients. Combine oil, coffee, and milk and whisk together at medium speed for 2-3 minutes. Add eggs and vanilla and beat for 2 more minutes. Transfer to a greased 8” round cake pan. Bake for 30-40 minutes, or until a toothpick inserted in the center comes out clean. Let cool in pan for 15-20 minutes and then flip onto a rack to continue cooling. for assembly: When cakes are completely cool, set the devil's cake on a cake stand or plate. Slather with a thick layer of your favorite vanilla frosting, then add angel food cake layer. Frost the top, and feel free to frost the sides or leave them naked as I have done! Garnish with fruit or chocolate shavings. Currently, traffic crashes are the #1 killer of teens. Summer time is the deadliest season for U.S. youth on the roads. In 2005 and 2008 two youths that were loved by many were tragically killed in car crashes. During the Global Youth Traffic Safety event the two will be honored in an attempt to bring awareness to the danger that is present. The goal is to get everyone to pay attention and be better drivers, passengers and pedestrians. Mount St. Helens located in Skamania County Washington in the Pacific Northwest region of the United States. It is 50 miles northwest o Portland Oregon and a little under 100 miles south of Settle, Washington. Mt. St. Helens takes an English name from the British diplomat Lord St. Helens, a friend of explorer George Vancouver who surveyed the area in 18th century. Mt. St. Helen is located in the Cascade Range and part of Cascade Volcanic Arc. The area has over 160 active volcanoes. The volcano was well known for the ash explosions and pyro flows . On this date in 1980 the deadliest and most economically destructive volcanic event in the United States at that time occurred. There were over 50 people killed, 250 homes destroyed, 47 bridges an miles of railways and highway destroyed. Mt. St Helens also experienced an earthquake measuring 5.1 on the Richter scale caused an eruption that reduced the elevation of the mountain between 8 to 10 thousand feet. A mile wide horseshoe crater is still present. 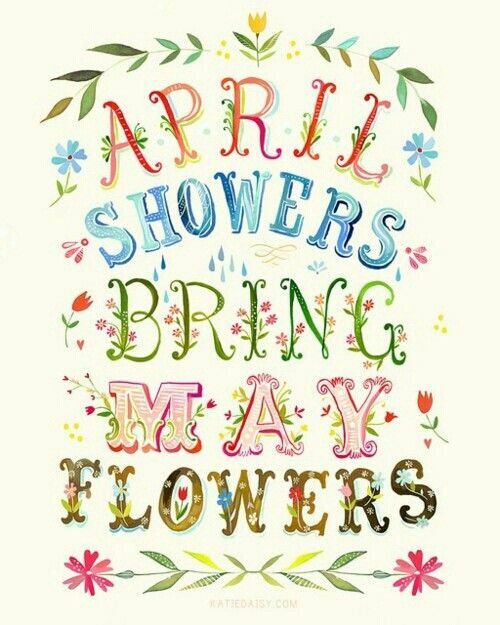 The saying is about the natural changing of seasons and how the spring rains help prepare us for May and the beauty of flowers. The April rain and May rays have been important to people through out history. Knowing when to plant the fields as well as knowing the true end of cold winter and beginning of warm days depends on the distinguishing Mays Rays. Spring is finally here and that means it is time to welcome the sun back into the warming sky. It is time to get out and enjoy it. Plants seem to be everywhere after a long cold winter and blooms are very present as well. It seems as if even our cold bodies are ready for a bit of sun and start to crave the warm days. The sun helps the supply of vitamin D in our bodies and thus helps make for strong healthy bones. Tomorrow is May Ray Day, it is time to get out there and enjoy the sun. I am in high hopes of seeing some May Rays even if the old weather man seems to say that we are in the middle of a few days of showers. Its time to get out in the sun and enjoy the day. Put on some pretty spring clothes and go out for a bit. How about a spring picnic or a day in the park?? I know, I know I am celebrating while some of you are drowning in allergies and asthma. So sorry but take a bit of medication and get ready to come out and play. Ancient Greeks enjoyed a dish of bread covered with oils, herbs and cheese (sounds like a great dish that would go along with our version of pizza now) Greece was also the location that the name "pie" was used to define the fine dish of pizza. Greek pizza pie still is different than other style of pizzas. Greek Pizza Pies are baked in pans and not on bricks of a pizza oven. The pan is shallow and heavily oiled with olive oil. The crust of a Greek Pizza Pie is chewy, puffy and oily. Tomato paste is primarily used in the sauce which helps make a tangy and thick sauce that is spiced with oregano. Greek Pizza Pies have more sauce than cheese which is normally a blend of mozzarella and cheddar. You will often find Greek Pizzas in pizzerias owned traditionally by Greek immigrants. Other specialties that may be sold are Greek salads and gyros. Many will go by slogans of "Pizza and Pasta" or as "House of Pizza" thus allowing customers to know this is a Greek establishment that serves Italian style food. The Romans not to be out done by the Greeks had their own version of pizza. The Romans would take a sheet of dough top it with cheese and honey then flavor the dish with bay leaves. Pizza found in Rome was known as "cut pizza". The pizza was a thick and rectangular in shape. The pizza is served by slices after being baked in electric ovens. The oven helps produce a crust that is light and airy on top while crunchy on the bottom. It would take the Italians to make what is thought of the modern pizza. Their pizza used only mozzarella cheese that was produced in Naples. Italian style pizzas are commonly known as Neapolitan pizza. The pizza originated in Naples Italy. The pizza is made with simple fresh ingredients. Starting with a basic dough, raw tomatoes, fresh mozzarella cheese, fresh basil and olive oil. There are no fancy toppings in the original pizza from Naples. The pizza sauce outweighs the cheese on this pizza and often leaves the middle of the pizza pie wet or soggy. It is not a pizza that serves well by the slice. The average Neapolitan pizza is around 10 to 12 inches in size. The small size is perfect for a personal pizza. The pizzas are cooked at super high heat for a very short time normally around 90 seconds. Pizza would reach the United States around the early 1900s. The first pizzeria was opened in Little Italy in New York. Today the pizza business has grown so that around 2 billion pounds of pizza cheese is used each year. Soldiers returning back to America after being stationed in Italy during World War II would bring along their taste for the Italian favorite, pizza. Pizza has changed since the early days and is often looked upon as fast food now. 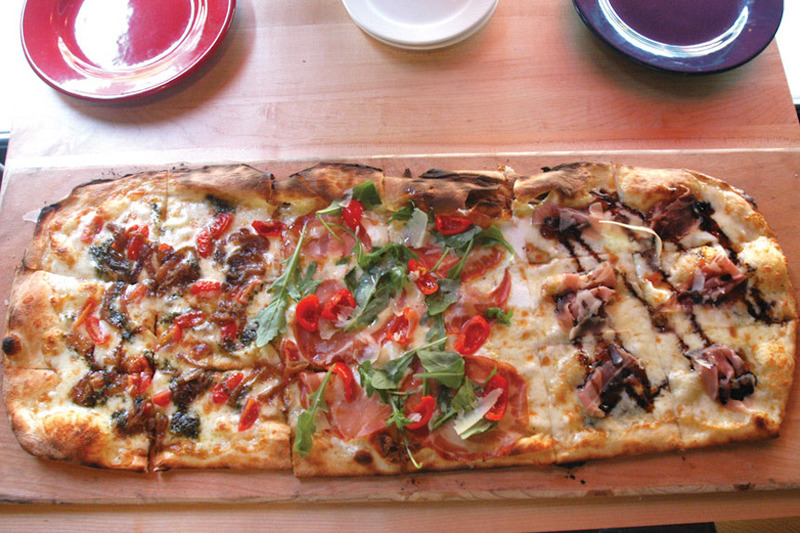 Pizza in the United States takes on many variations. At times only a casual resemblance of an Italian original is present. In the United States you can find both a thick crust and a thin crust pizza. Foods such as barbecue, chicken, and bacon cheeseburger are now used to create new types of pizza. While pizza is normally eaten hot, it is also popular to enjoy pizza as cold leftovers. One flower I love to add to my flower bed that not only adds color but offers a border as well are snapdragons. Snapdragons are native to the Mediterranean but I am glad that they did not stay there. They make great cut flowers to decorate the home not only with the color but also the scent. Colors such as white, yellow, purple, crimson, bronze, and pink in rainbow of colors. Snapdragons are annuals and are easy to grow. Most either bloom in the summer prior to wilting away in the heat. Many will have a second bloom again when the weather cools prior to fall. As I mentioned snapdragons are great for planting in flower bed, as edging or even in containers. A bonus is that hummingbirds are attracted to snapdragons. It is best to plant snapdragons in full sun. As long as the soil drains well snapdragons should do well where planted. If the soil is poor add a bit of fertilizer. Snapdragons can be planted as early as the last frost. Snapdragons normally last through the first heavy frost. Snapdragons come in a variety of sizes and colors. 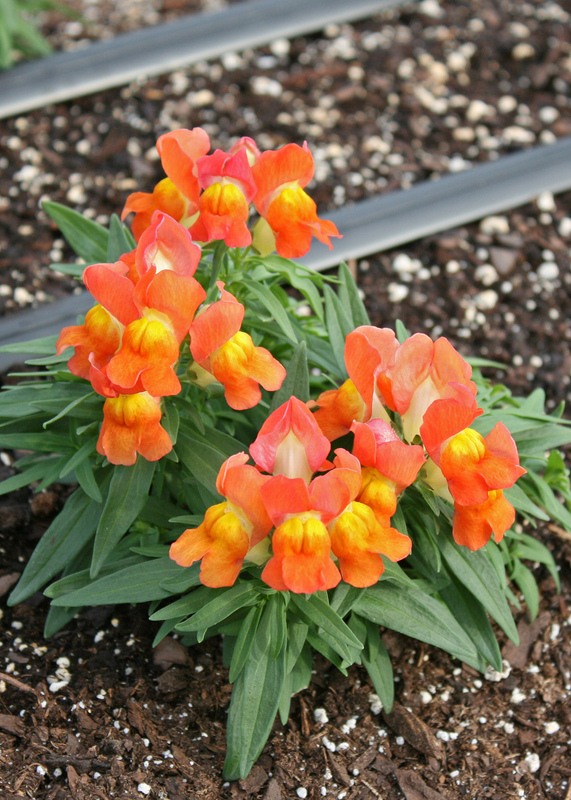 Whether you are looking for a small dwarf flower, a intermediate size flower or a tall flowering stem you will find it with a snapdragon. Snapdragons come in nearly all colors but blue. Tall snapdragons may grow to 3 feet tall , while shorter versions may only reach 6 inches. Snapdragons only take about 2 weeks to germinate planted in direct sunlight. Snapdragons do not like to be crowded and should be water from below not above. Asthma is a chronic disease of the lung airways. In an asthma attack the airway becomes inflamed and narrows as a result of reacting to "certain triggers" , making it extremely hard for that individual to breath. America welcomed the sweet onion in the 1930s and it is still popular today. It all started during the great depression when farmers had high hopes of a new cash crop. These Georgia farmers had grown and harvested many different crops from corn to cotton. Now, it was time to try a new crop, onions. The destination was helped out by the Piggly Wiggly grocery store in Vidalia. The owners of the grocery store not only helped to sell Vidalia onions but they also helped support the great onion. Soon the Vidalia Onion was celebrated in a festival. Glenville, Georgia has hosted the Vidalia Onion festival since 1977, another festival was held in Vidalia Georgia in 1978. By the 1980s the Vidalia onion had its own mascot named Yumion. In 1990 the Vidalia Onion became the state vegetable of Georgia. The sweet onion known as "Vidalias" had grown to fame of its own and today the onion is not just a "southern thing" but available in 50 states as well as Canada. The number of Americans that have food allergies astonished me at first. It is estimated that an average of 15 million Americans have been diagnosed with food allergies. That breaks down to about four in every 100. This number is a big consideration of both personal and private chefs. Food allergies can range from mild to severe. My son was diagnosed with allergy to fish when he was around 7 years old, as an adult he still can not eat catfish without getting severely sick. It could have been worst we know as many others struggle to breathe, and other symptoms. Some individuals who dine on food they are allergic to will experience mild irritations that you may see in other allergens such as pollen. Symptoms may include itching eyes, scratchy throat, and mild indigestion. If the allergy is severe the symptoms may be severe. One of the most common severe allergies is peanuts. Many times if a food allergy is present in one food then there may be another food allergy as well. Food Specific Intolerance are foods that cause interruptions in the digestive tract Intolerance can range from mild to moderate. Common symptoms include bloating, gas and diarrhea. Food intolerance includes your nose running when you taste hot salsa or other spicy dish, you get gas after dining on beans, you have diarrhea after drinking a glass of milk because you are lactose intolerant. Celiac Disease is an autoimmune disorder that affects an average of 1 out of every 100 individuals around the world. Individuals with Celiac disease are unable to digest gluten. Gluten is a protein found commonly in wheat based products. Severe health concerns that may be caused by celiac disease include infertility, iron deficiency and neurological complications. 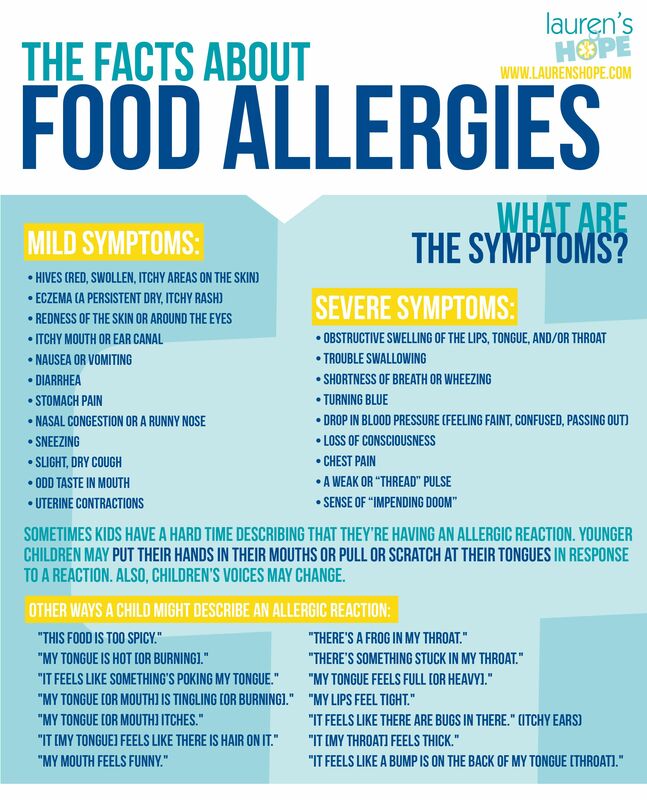 Food allergies can react differently in different people It may take just a bite or two of the trigger food and other times it may take hours to see apparent symptoms of food allergy. Mild allergic reactions may remind you of more common allergic reactions while moderate food allergy symptoms may include dry swollen or red itchy skin rash, runny or stuffy nose, sneezing or dry cough, watering eyes ear or mouth itchiness, stomachache, cramps, vomiting or diarrhea. Severe allergic reactions are most often triggered by peanuts, nuts, fish and shellfish. Symptoms of a severe allergic reaction may include shortness of breath, trouble in swallowing, swelling of mouth, lips, tongue or throat, weakness, confusion, light headache or loss of consciousness and chest pain or a weak heartbeat. If the reaction is severe enough the symptoms will not leave and encompass the entire body. This type of reaction is known as anaphylaxis. 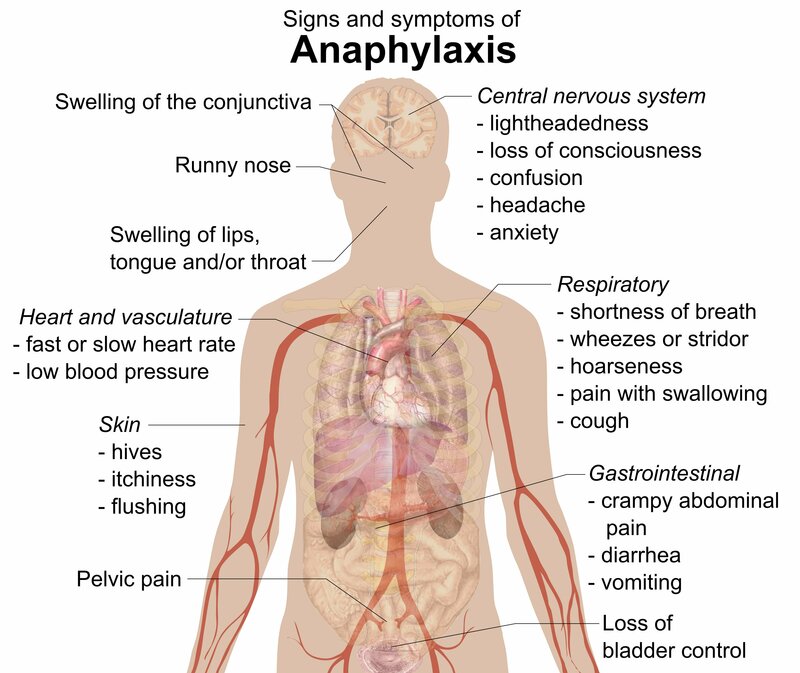 Anaphylaxis occurs within minutes of eating a trigger food. Many with such food allergies will carry a medicated injection known as epinephrine which is adrenaline. Medical attention must be found at once. The epinephrine may save your life and will help provide relief until you find medical attention. Individuals with severe food allergies or those with asthma and food allergies are at risk for anaphylaxis. So that you are aware of what is in the food you one needs to start reading the food labels. Labels may still make it difficult to know what exactly is in the food product. ingredients such as pineapple , milk casein, or hydrolyzed soy protein may be in microwave popcorn but not listed as ingredients. Other terms such as "flavoring" or "natural flavoring"
egg and soy can be hidden under the terms "emulsifier" or "binder"
The customer service department or the quality assurance officer of the company where the product you have in question should be able to help you figure out if the food is safe for you. In addition, inquire about the food prepared at the restaurant that you choose to eat. 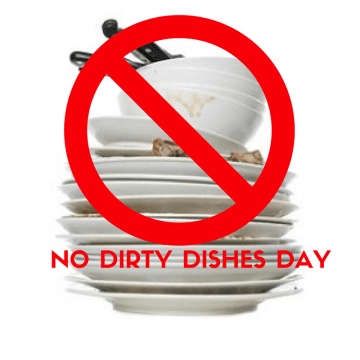 My first thought of this holiday is that it may have been invented by a dish-washer or a homemaker tired of seeing dirty dishes. Dirty dishes are simply part of life. If we eat there more than likely is going to be a dirty dish or two. The only exception to the rule may be a sandwich. It seems that a lot of time is spent every day on washing and drying dishes and putting them away. Today, take a break from washing dishes and take the time you normally would be doing dishes having a bit of fun. You may have a late start to this day if you were not aware of this special day yesterday. So hurry up and catch up, do all the dishes so that your sink and kitchen are all clean and sparkly. If you choose to not do the dishes today, remember they will be waiting on you til tomorrow. Use disposable dinnerware for today There are several nice types of plastic and paper plates and etc.. on the market. The best ones, my opinion, are the environmental friendly type. If you choose, and I do not , you can eat all your meals out today. Around our house it is my husbands chore to wash the dishes. 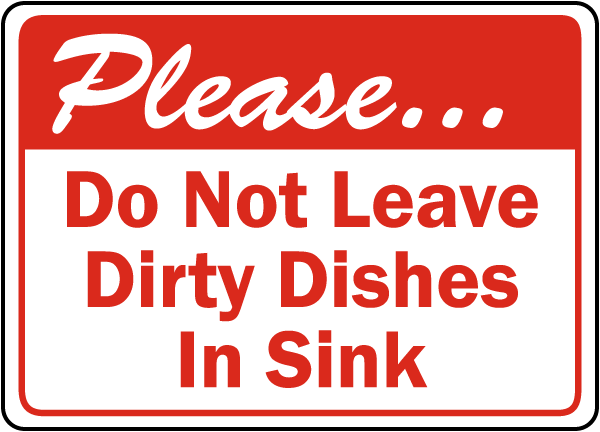 He has his own plan , routine, and etc.. and if you are the dishwasher at your home this would be a great ideal example for you to do as well. We have never been blessed to have a dishwasher in our home and still wash the dishes by hand. Petunias are great for offering a bit of long term color in the flower garden or yard. They seem to be able to brighten any area where they are planted. The lovely colors that petunias have seem to bring a smile where ever they are planted. Petunias are native to Argentina Brazil and other parts of south America. early explorers who collected seeds to take back to Europe and to North America. Petunias grow 12-15 inches tall. The Petunia plant and stem are covered with soft hair. Bright and colorful funnel shaped flowers begin to bloom as early as late spring. Flower blooms are produced in many single and multi colors. Petunias are popular, easy, and fun to grow. Fill an area or entire bed with Petunias. They also are great in windowsills, containers, or even hanging baskets. Grandiflora petunias is the most common type of petunias. The species offers 3 to 4 inch blooms that can stand up right but may also spill over the side of your container or window box. Spreading petunias are 6 inches tall and can cover a selected area to function as a blooming ground cover. Regular watering of petunias along with abundant sunlight will help to promote multiple blooms on petunias. Petunias that cover the ground and spread are the pickiest when it comes to water. Petunias can grow n partially shaded areas they will not deliver as much of an abundant bloom as those in full sun. Petunias love to be fed and desire much fertilizer as well. Removing blooms that are spent will help lengthen the life of petunias. Many species of trees live long lives. 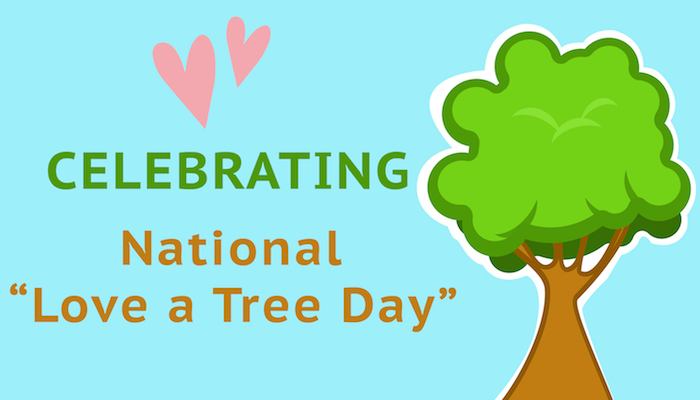 Some trees have been known to live for several thousand years. The tallest known tree was 379 feet tall. Trees help to reduce erosion and moderate the climate as well as provide oxygen. Carbon is stored inside of trees as trees help remove carbon dioxide from the atmosphere. Trees are like gentle, silent giants that live on our planet. There those small trees that resemble bushes or large redwood trees that dot across America's west coast. The beauty that trees offer is something that I can only imagine our Creator making for us to not only enjoy but to use as well. Trees play an important role on the planet Earth. Producing oxygen for all of us to breathe but they also have a softer quality as well. Trees have been present since the beginning when Adam and Eve ate of the fruit from the Tree of Knowledge of Good and Evil. The pair made a decision that would give life to the rest of the world as well as starting the Plan of God's Salvation. Another tree, the tree of Life, was the source of eternal life and the love of God. The tree had roots that went deep into the earth and spread its branches into the air, where it gathered light and water. It was also on a tree where the World was given a gift when Jesus Christ chose to die for all mankind under the boughs of trees. Lets admit it , summer can be a bit stressful. Kids love summer but there are many changes that take place when they are home all day long. The warm weather is welcome but the hot days can become a bit lazy as well. While the kids are out of school, many times parents still have to work and feel like they want more time at home to be with family. Then, there are those responsibilities that come along with summer. Vacations, trips, sibling conflicts, and the list goes on and on. It is always grand to have a couple of extra hands around the home to help straighten the house. If this is what you think is going to happen now that the kids are out of school, unless you have a grand idea you should think again. Kids are normally into fun in the sun and helping in the house just is not their style. Time to put some parenting skills to action and figure out a way to keep the chaos down. Start with a plan. A plan to giver everyone what they want is always great and believe it or not it can be achieved. The name of the game is balance. Set up good routines, rules and share what you expect to happen. A good morning routine can make a great difference. Talk to your kids about what how you expect summer mornings to go. Start with morning chores that must be done prior to breakfast. Have a family breakfast whenever possible this allows all to get a chance to talk about what has been happening. Summer time is a great time for kids to learn a bit of independence. What goals do your kids have for the summer. Have each member of the family to create a summer "bucket list" of what they want to learn. Plan activities such as camps and programs that offer parents a break and kids a great learning experience as well as fun. Remember not to overdo it. 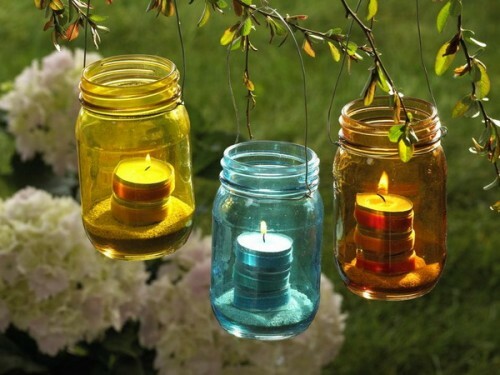 Plan activities to brighten summer rather than something that will tie you to endless commitments. While summer days are long and lazy at times, bedtimes should still be the same. Sleep is important during the summer as it is the year. Bedtime routines should continue They might be a bit later now and then but should still go on. What does your family do during the summer to keep chaos from happening?? 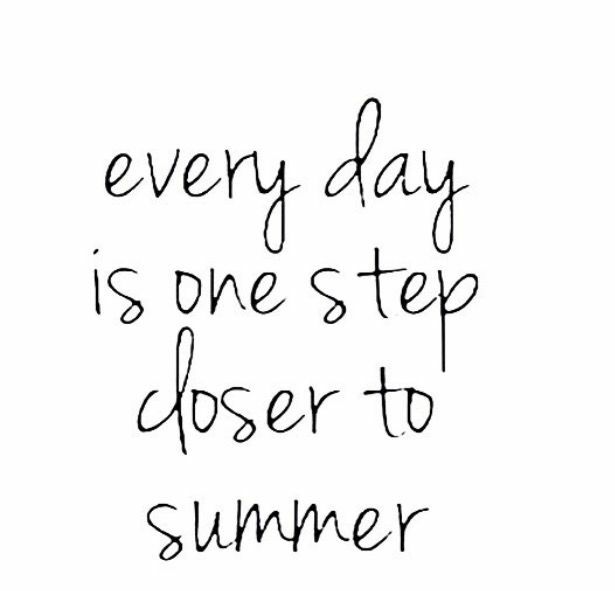 The goal is to make a memorable summer with your children. Plan ahead and skip the stress, look for those moments to hve a bit of unplanned fun. our own self worth and respect is what life is all about. Our teens feel the same way but often do not express it in a way that we can understand. Developing self respect is what helps reach the level of happiness and success of children and teenagers. 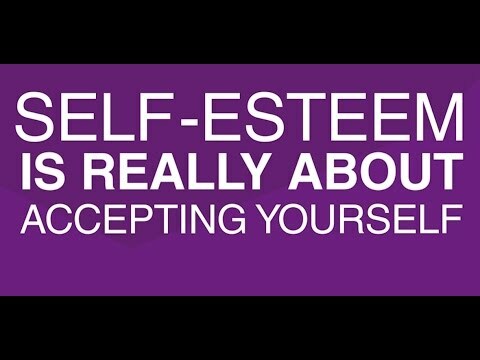 Self esteem is how one feels about their self. When one does not feel well with their self it shows in behavior, just like when one feels well with their self that too shows up in behavior. 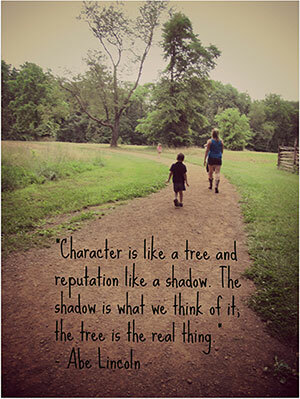 The goal of parents is to help our teens develop a self esteem that will help them through life. One that will allow them to make decisions of their own and act independently. Raising our children where they take pride in the accomplishments that they take responsibility for is something we all want to see. Life is hard at times and frustration is something that happens often, when our teens can tolerate a bit of frustration and find a way out of the circumstances that they find their selves in then we as parents can take pride in that. 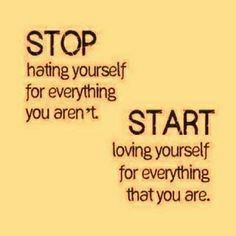 Our children with high self esteem are able to handle both positive emotions with a few negative remarks as well. There are a few things that you can do to help raise your teens self esteem and make them feel better about their selves. Start by encouraging your teen to explore his or her interests by joining clubs and organizations that will provide consistent opportunities for self expression. Activities that our teens are interested in can be outlets for stress and anxiety relief as well as build their confidence. In addition, participating in activities and groups can help our teens make new friends. They may also start making wise decisions as well as offer a sense of belonging. allow them to drive somewhere when old enough to have their license. Rejection and failure are two things that often can not be avoided. Parents can help prepare their children to handle adversity by letting them know not to take rejections seriously. There is none of us perfect and failure is a fact of life, its gonna happen. Let your teen know that while they may have failed they did try and for that you are proud of them for. When ever possible help your teen to keep an open mind, when things do not go as planned help them have a plan b. Remind them that we are always open to talk when they need someone to vent to. As I was gathering ideas to fill in my meal plan for the summer months I found several recipes for fruit salsa. Fruit around here is always kid friendly and helps the meal go well. 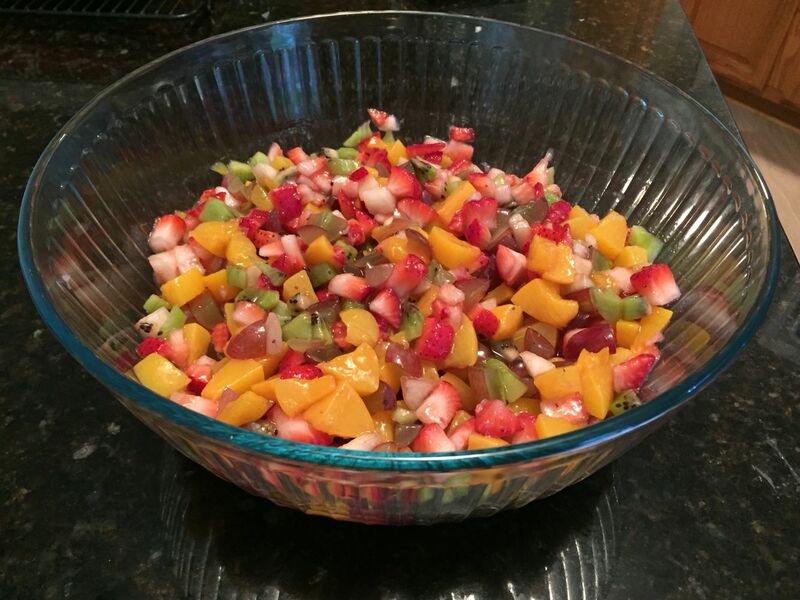 So I knew I had to share with you a recipe for fruit salsa as well. May takes time to pay respect to Police officers both active and those that have fallen. 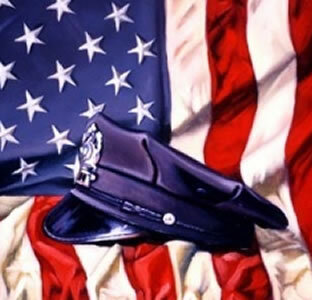 Police Officer Memorial Day and National Police Week both take place in the month of May. When police officers mourn a fellow police officer that has fallen they wear a black strip across their badge. This is known a a mourning band. and symbolize remembrance and mourning for police officers who have lost their lives in the line of duty. Just like fallen soldiers deserve our respect and honor so do these officers. The brave officers that make the ultimate sacrifice to protect our safety deserve the greatest honor that we can bestow. A memorial to their memory is just a small tribute to their lives, service and sacrifice. The date not only recognizes the peace officers that have fallen but also those that were injured in the line of duty. Men and women who serve on a daily basis putting their lives on the line. The families of these slain or injured officers have lost an important family member. Those that loved these officers are encouraged to tell their story so that their courage lives on. To start with you will want to find the perfect basket. Other ideas would include a water can, planter, or pot. Look for inexpensive baskets and containers from dollar stores, grocery stores, garage sales nd thrift stores. 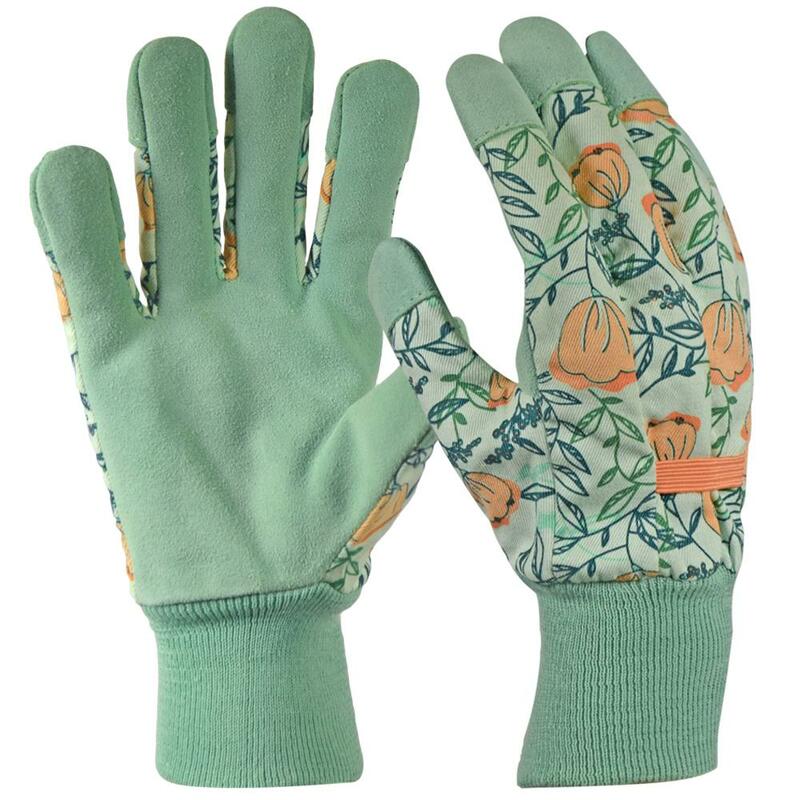 Garden gloves are not only loved but also something used by many gardeners. Gloves help to cut down on blisters an dirt under the nails. 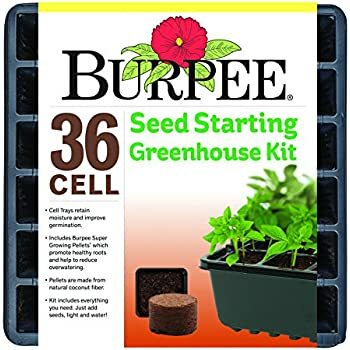 kneeling pads that can help your friend garden without wearing out their knees will be a great item to put in any garden basket as well. 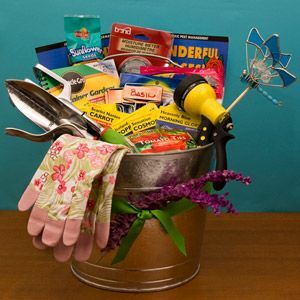 What you include in the garden gift basket you create will be up to you. Likewise, how you put it all together and wrap it up will be your personal choice as well. Remember, take in to mind the individual you are giving the gift to and what they like, what their favorite colors or style is and that you are creating the gift to give to someone not to keep. 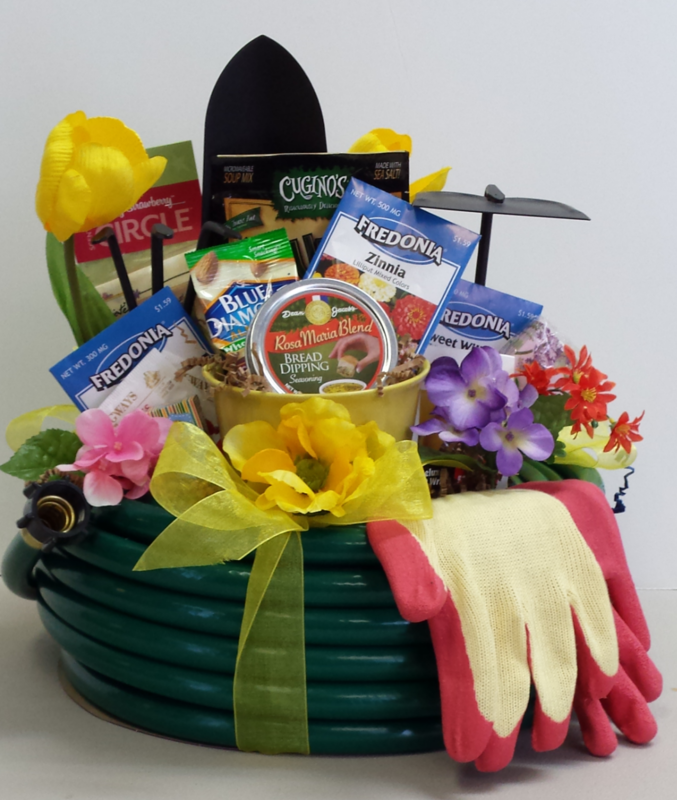 Here are a few garden gift baskets I found while preparing this post. 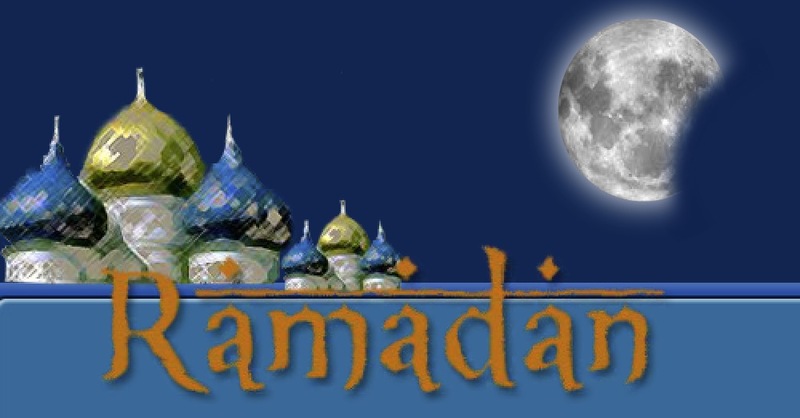 Ramadan takes place during the ninth month of the Islamic calendar. The holiday is observed by Muslims around the world. It is a month of fasting that takes place to commemorate the first revelation of the Quran. Ramadan is regarded as one of the five Pillars of Islam and last around 29-30 days. The crescent moon determines the length of Ramadan. In the Arabic language Ramadan means scorching heat or dryness. During Ramadan fasting is something that adult Muslims are obligated to take part in. The only adults who do not have to follow the strict rule are those that are suffering from an illness, travelling, elderly, pregnant, breastfeeding, diabetic, chronically ill or menstruating. Muslims fasting from dawn til sunset must refrain from consuming food, drinking liquids, smoking, as well as engaging in sexual relations. Muslims faith enforces that the reward of fasting will not be obtained if sinful behavior also takes place. Sinful behavior includes offering insults, cursing, lying, or fighting. Before fasting takes place pre-fast meas are prepared. These meals are known as Suhoor , following the fast meals known as Iftar will take place. Spiritual rewards will be awarded to those for fasting. Muslim fasting often also includes increased prayers, recitation of the Quran and increase of good deeds and charity. It is believed that Muhammad had a revelation of the Quran during the month of Ramadan. The tablets of Ibrahim, the Torah, the Psalms, the Gospel and the Quran are all considered to be holy scriptures and each are considered to be part of Ramadan. The Quran considers fasting to be obligatory and a way to attain the fear of God. It is to be practiced by those truly devoted to God. Oh the sweet memories that many of us have our grand-mothers being in the kitchen. 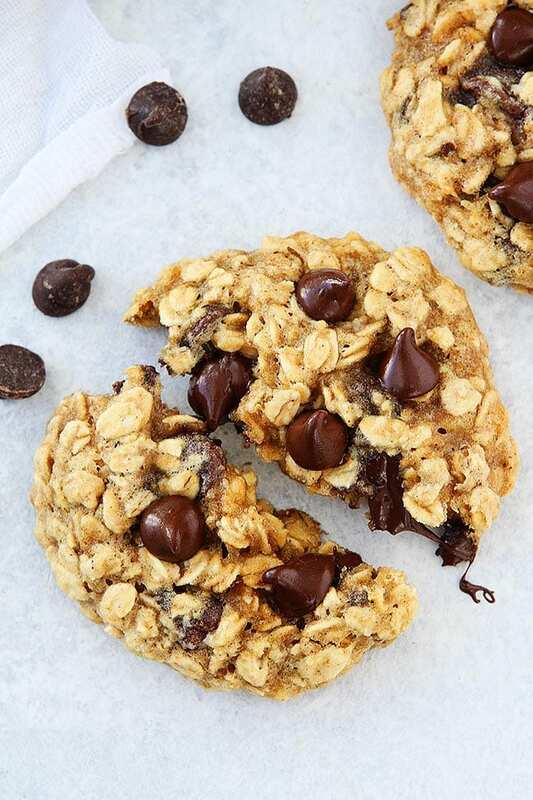 One recipe that I recall my grandmother making often for me and my cousins were her banana, oatmeal, chocolate chip cookies These were delicious and I am sure would not go well in my diet now as an adult. So, on my search to find a recipe that would closely relate to the cookies that I recall from my childhood. This recipe from here shares a recipe that is healthier than the traditional version was. Preheat oven to 350 degrees F. Line two baking sheets with a Silpat baking mat or parchment paper. Set aside. In a large mixing bowl, combine butter and sugars, mix until smooth. Add in egg and vanilla extract. Next, add the mashed banana and mix until combine. Slowly add in the flour mixture and mix on low nuntil just combined. Stir in oats and chocolate chips. Use a cookie scoop or two spoons to form the cookies into balls, using about 2 tablespoons of dough per cookie. Place cookies on prepared baking sheet, about 2 inches apart. Bake for 12 minutes or until golden around the edges but still soft in the center. Remove cookies from oven and let the cookies sit on the baking sheet for about 5 minutes. You can add chocolate chips to the warm cookies to make the cookies extra pretty, if desired. Just press them slightly into the cookies. Transfer the cookies to a cooling rack and cool completely.